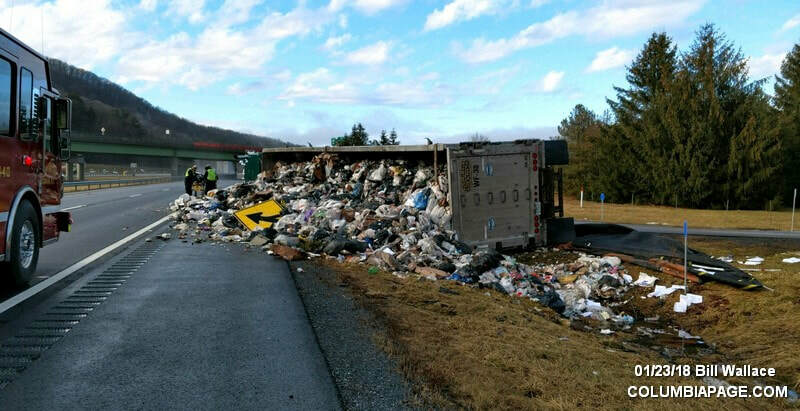 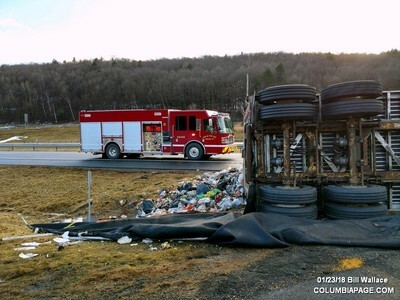 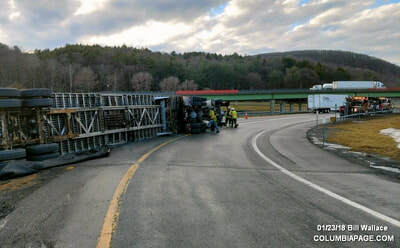 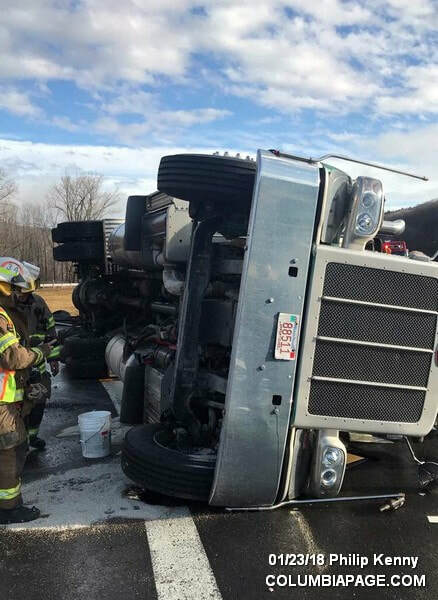 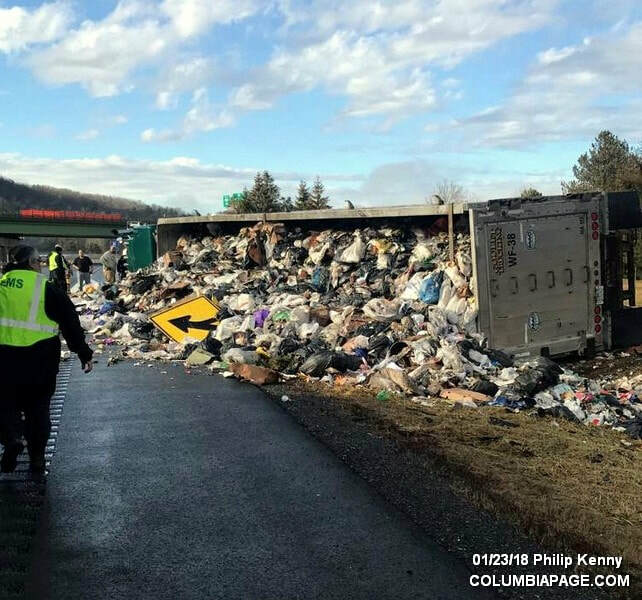 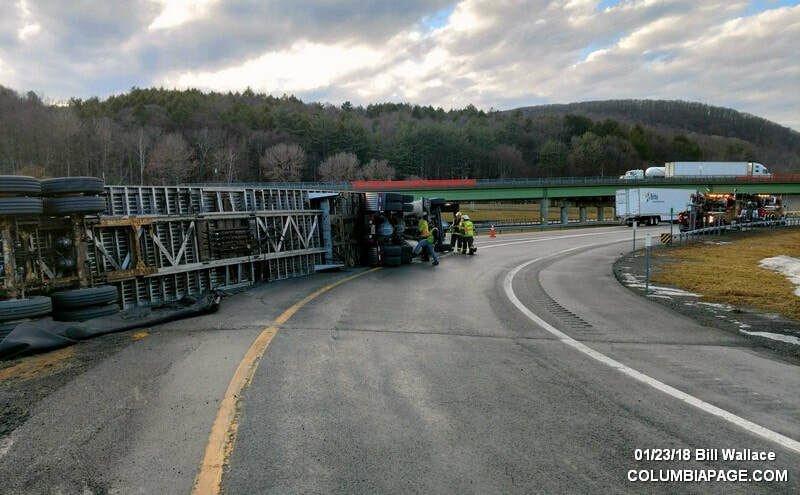 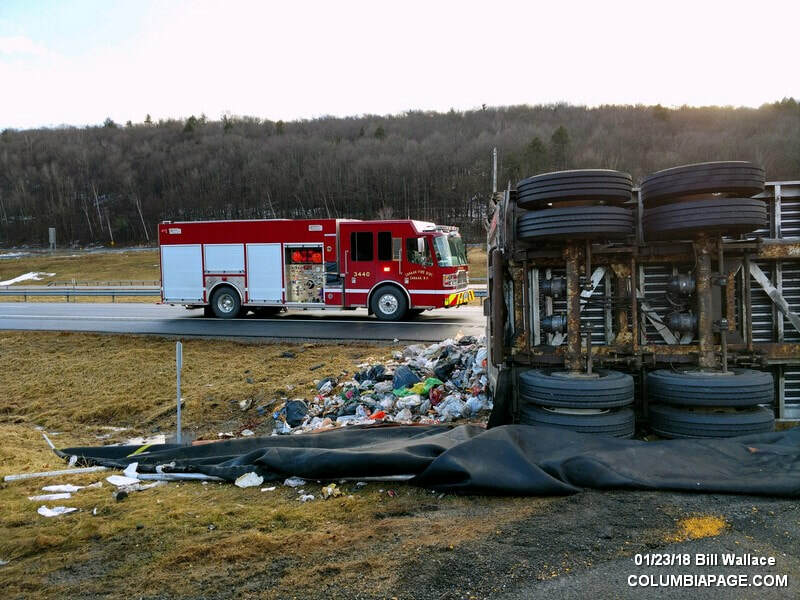 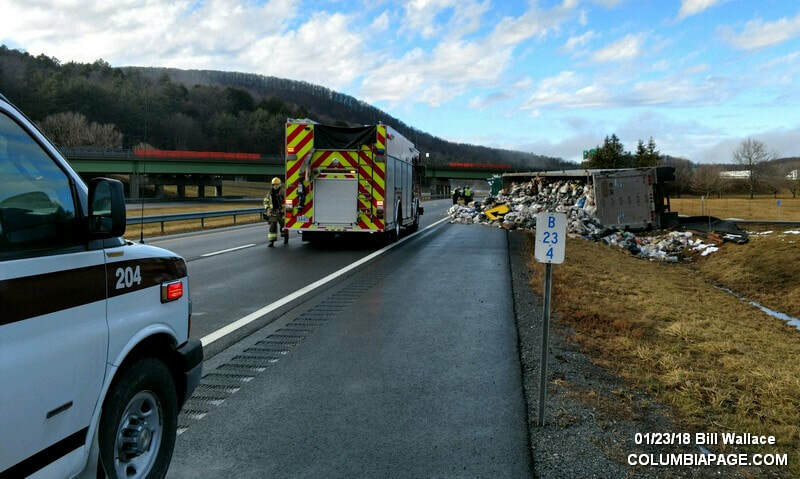 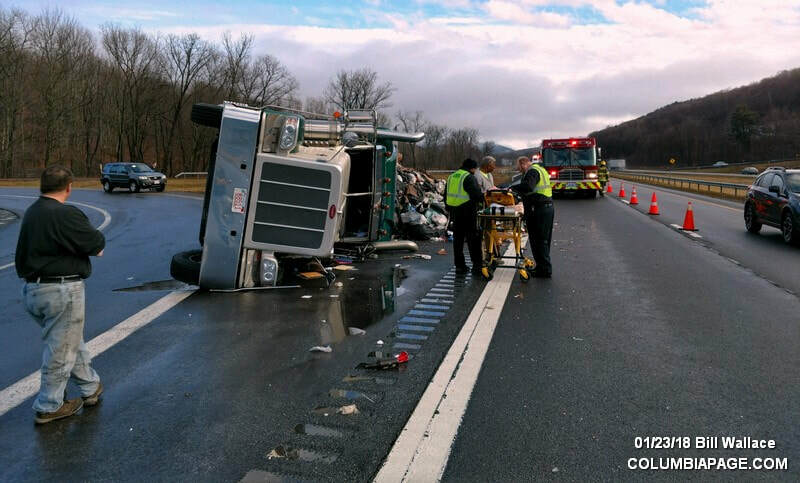 Columbia County 911 dispatched Canaan Firefighters, Red Rock Firefighters under automatic mutual aid, and Chatham Rescue at 2:38pm for a reported tractor trailer on its side at Exit B-3 in the Town of Canaan. 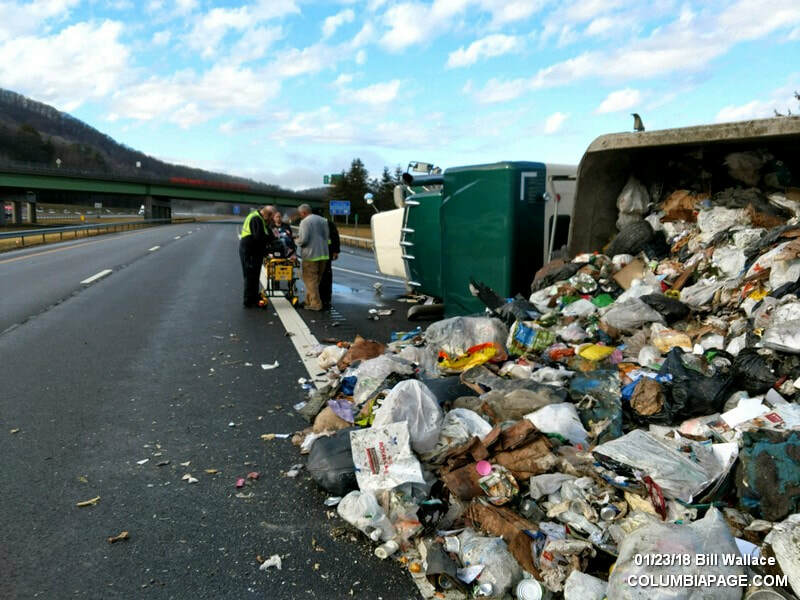 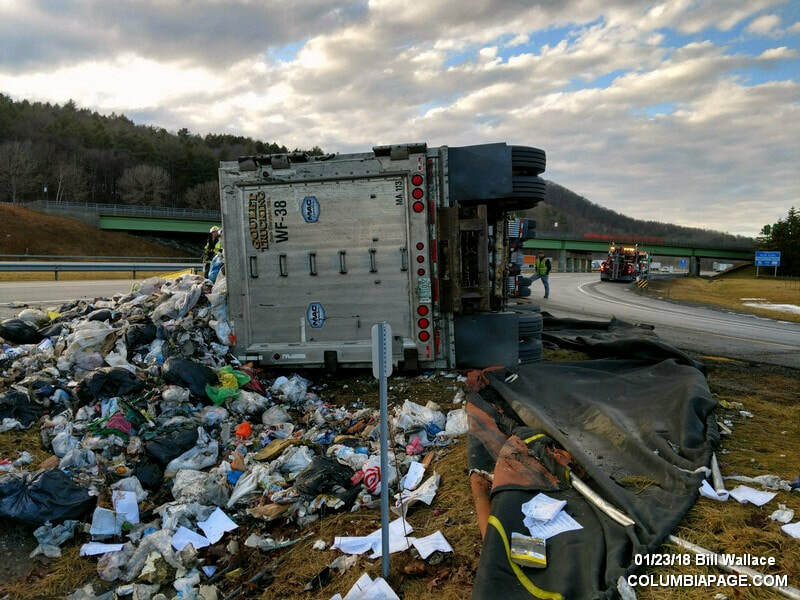 The accident occurred on the westbound entry ramp to the New York State Thruway. A helicopter was placed on standby but declined due to weather. Chatham Rescue reported one that refused medical attention. 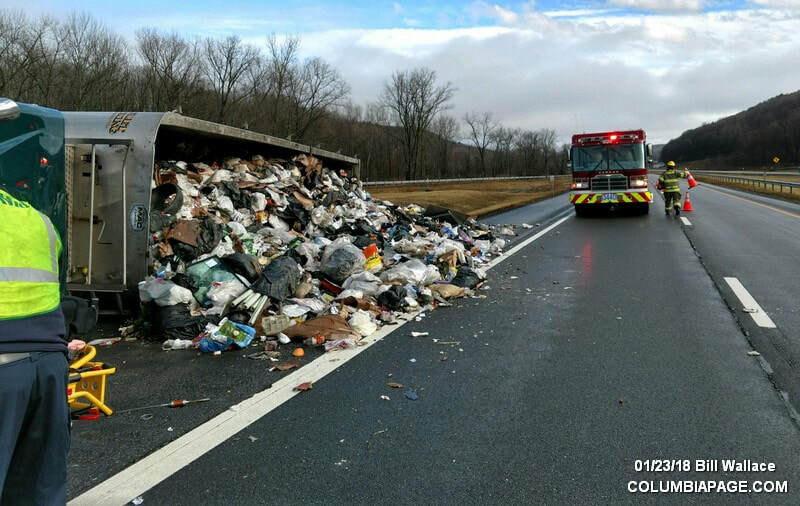 ​Thruway maintenance crews assisted at the scene. 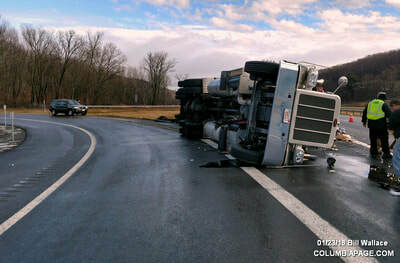 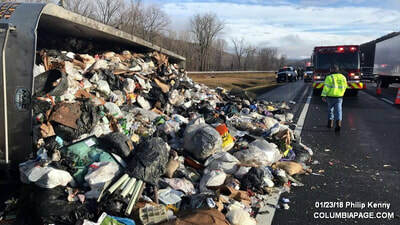 The westbound ramp and one lane of the Thruway was closed for several hours. 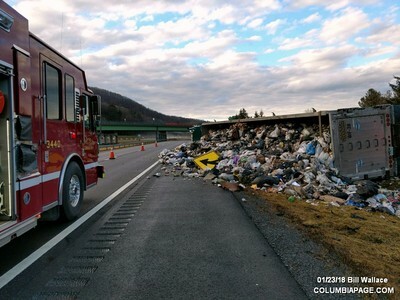 Firefighters were back in service at 3:42pm.